Killings, torture and detentions are increasing in Burundi, and the United Nations warns that the international organization is less well-equipped to deal with the situation than it was in Rwanda before the 1994 genocide. Killings, torture and detentions are increasing in Burundi, and the United Nations warned on Tuesday that the international organization is less well-equipped to deal with the situation than it was in Rwanda before the 1994 genocide. It said there have been 252 extra-judicial killings since April — that is, killings by government without the involvement of any legal process or authority — and that more bodies had been found on Tuesday with hands bound. "We are more poorly positioned to respond to the warning signs today than we were in 1994," Scott Campbell, central and west Africa chief at the UN human rights office, told a news conference. Burundi has plunged into its worst crisis since the end of a 12-year civil war in 2005, which pitted rebel groups from the majority Hutu ethnic group against the army, which at the time was led by the minority Tutsis. "Burundi finds itself in a deep political crisis and rapid escalation of violence that has serious implications for stability and ethnic harmony in Burundi," UN political affairs chief, Jeffrey Feltman, told the UN Security Council. UN High Commissioner for Human Rights Zeid Ra'ad Al Hussein and UN Special Adviser for the Prevention of Genocide, Adama Dieng, both warned the council that Burundi could be facing imminent catastrophe. "The country appears to be on the verge of a descent into violence that could escalate into atrocity crimes," said Dieng. "We should act before it is too late." The U.S. envoy to Africa's Great Lakes region urged Burundi's government and the opposition on Tuesday to start internationally mediated talks without pre-conditions in order to end the country's political crisis. Tom Perriello told reporters in the Burundian capital, Bujumbura, that the international community is keenly watching events in Burundi, where a series of extrajudicial killings has raised concern. A regional bloc nominated Ugandan President Yoweri Museveni to mediate the crisis, but those talks have not started. Perriello is visiting Burundi to express Washington's "grave concerns" over the deteriorating political situation in Burundi, which has been hit by violence since April following the president's controversial decision to seek a third term in office. 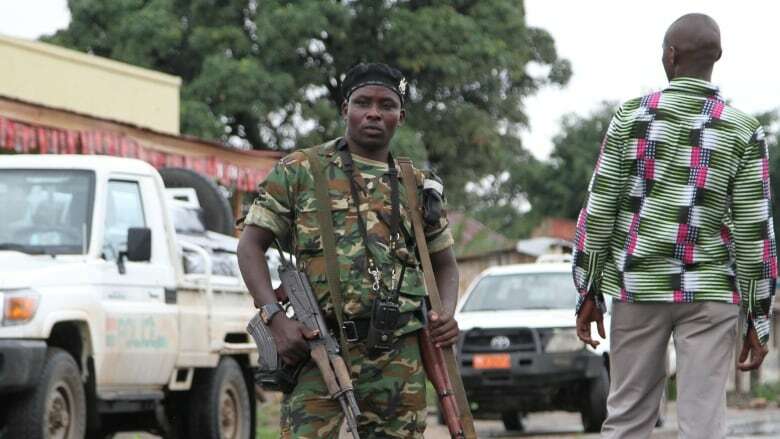 "The United States is alarmed by the violent and incendiary language used by the Burundian government as well as the violence by the security forces and security personnel or by anti-government actors," he said.